While Asus and Xiaomi have revealed their offers for the Flipkart Big Billion Days sale and are looking to court new users, Honor isn’t looking to sit back and relax. The company is offering a boatload of handsome discounts on some of its most popular devices during the sale. Recognized as a budget dual-camera phone by the company, the Honor 7A is now being marked down by Rs 3,000 during the sale. The effective price of the device will be Rs 7,999 as compared to the Rs 10,999 retail price tag. The Honor 7A features a 5.7-inch HD+ display and is powered by the Snapdragon 430 chipset, paired with 3GB RAM and 32GB internal storage (expandable up to 256GB). The device includes a 13MP+2MP dual rear-camera module and an 8MP selfie camera which is fairly good for the budget segment. It runs Android 8.0 Oreo-backed EMUI 8 and packs a 3,000mAh battery. The latest budget phone from Honor’s camp, the Honor 9N, is being earmarked as the ‘Superstar Offer’ for the Flipkart Big Billion Days sale. The price of the device has been slashed by a flat Rs 4,000, making the devices start at Rs 9,999 as compared to the Rs. 13,999 base variant. The Honor sports a 5.84-inch Full-HD+ display, with a notch, and is powered by Kirin 659 octa-core chipset, paired with up to 4GB of RAM and 64GB of storage. There’s a 13MP+2MP dual rear-camera system and a 16MP front camera on board. It runs Android 8.0 Oreo-based EMUI 8.0 and has a 3000mAh battery. The best deal of the lot here is being offered on the Honor 10. It’s the company’s flagship phone is being discounted by a hefty Rs. 11,000 and will be sold for an effective price of Rs 24,999 as compared to its Rs 35,999 retail price tag. 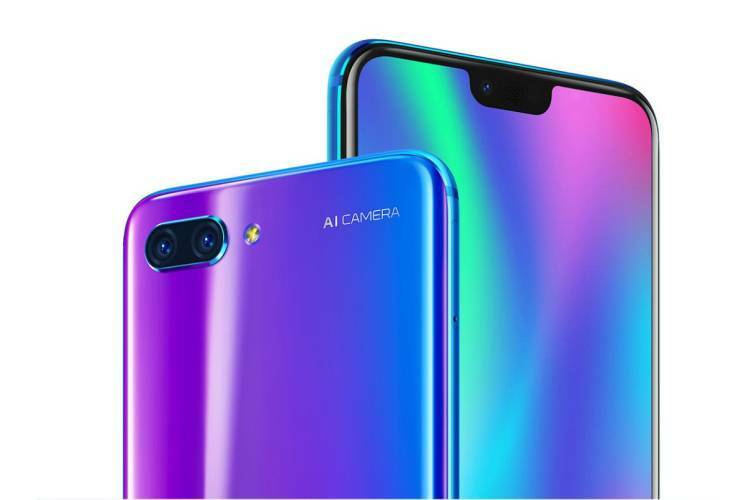 Honor 10 features a 5.84-inch Full-HD+ display and is powered by Huawei’s in-house flagship chipset, the Kirin 970 SoC. There’s 6GB of RAM and 128GB of internal storage on board as well. There’s a 24MP+16MP dual rear-camera setup, along with a 24MP selfie snapper here. You also get an under-glass ultrasonic fingerprint sensor, Android 8.0 Oreo-based EMUI 8.0, and 3,400mAh battery here. The Chinese giant will also be running offers on Honor 7S (Rs 6,499), Honor 9 Lite (Rs 11,999), Honor 8 Pro (Rs 19,999), and the Honor 9i (Rs 12,999) during Big Billion Days sale. You can also grab Flipkart’s ‘Complete Mobile Protection’ plan, starting at Rs 199 along with these phones.